Founders of Modern Political and Social Thought Series Editor: Dr Mark Philp, Oriel College, University of Oxford Founders of Modern Political and Social Thought present critical examinations of the work of major political philosophers and social theorists, assessing both their initial contribution and continuing relevance to politics and society. Each volume provides a clear, accessible, historically-informed account of each thinker's work, focusing on a re-assessment of their central ideas and arguments. Founders encourage scholars and students to link their study of classic texts to current debates in political philosophy and social theory. 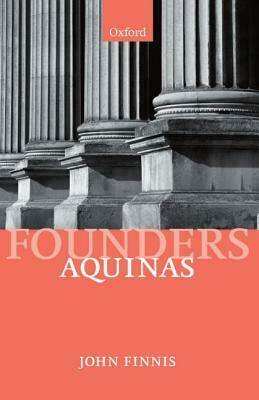 This launch volume in the Founders of Modern Political and Social Thought series presents a critical examination of Aquinas' thought, combining an accessible, historically-informed account of his work with a re-assessment of his central ideas and arguments. John Finnis presents a richly-documented review of Aquinas's ideas on morality, politics, law, and method in social science, using the philosopher's own long-neglected distinctions between types of order and types of theory. Unique in his coverage of Aquinas's primary and secondary texts and his own vigorous argumentation on many themes, the author focuses on the Aquinas's philosophy while also demonstrating how this interconnects with the theological elements. In his fresh, far-reaching re-reading of Aquinas, John Finnis argues out such questions as: Is egoism rational? Why is Aristotle's paternalism wrong? Has sexual morality any reasonable principle? What's wrong with lying and usury? Why are democracy and the rule of law aspects of the best polity? Drawing on over 60 of Aquinas's works, the author shows how, despite some medieval limitations, Aquinas makes profound, powerful contributions to present debates.